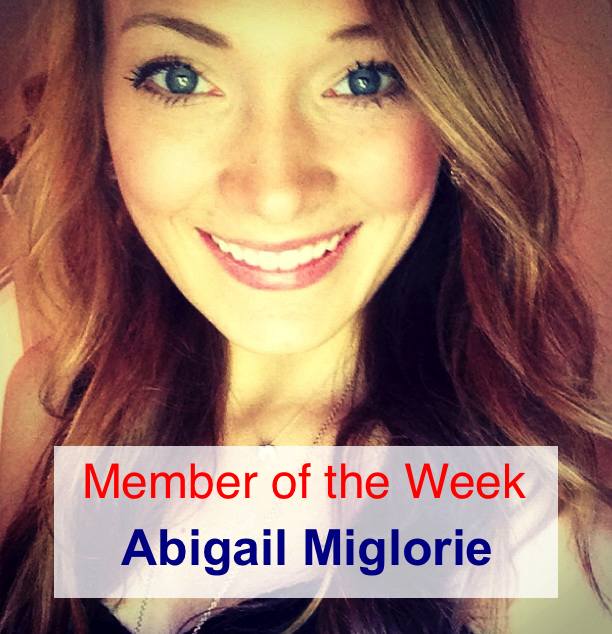 This week’s member of the week is one of BUPRSSA’s very own digital media writers Abigail Miglorie, a journalism major who loves PRSSA because she can, “intertwine her love for writing and PR in one.” An avid runner, horseback rider, and nature lover, Abigail hails from a small town in Vermont surrounded by farmland that has also inspired her to concentrate in Environmental Science. Read on to learn more about one BUPRSSA’s most active members both inside and outside the club! What are some of your favorite things to do in your free time? I love to run, ride horses, blog, and write. Running has been a passion of mine for as long as I can remember and I’m currently training for my second half marathon, which is in February. I’m hoping that one day I will be running down the busy streets of Boston in the Boston Marathon! The PR world has always amazed me. The ability to problem solve and fix an issue within seconds is incredibly challenging yet exhilarating. This is my first year in PRSSA and I have already listened to significant guest speakers tell their stories [about life in the PR world] which gives me a clear idea on what exactly it takes to thrive in such a competitive environment. Meeting new people at every meeting is one of my favorite memories so far. I see people every week that I haven’t seen on BU’s campus before and I instantly connect with them through our love of PR! Something that remains engraved in my head is how to present yourself while networking with others. It is important to appear confident, strong, and bright, something that I learned during the very first meeting that I attended. I hope that one day I will be a part of an agency where I can in cooperate my love for writing, PR and science as a unit. Luckily, I have a couple more years to really figure it out! I definitely want to be affiliated with the agency life since it would enable me to meet new people and to do something different everyday. It’s really important to me that the firm promotes CSR since it is a great way to give back to clients and society. We are one of the most engaged clubs that I know. We are able to laugh and talk with other members while learning something new every meeting, whether it is from my peers or a guest speaker. It’s truly a blessing to be apart of PRSSA.